We flinch and tremble when it is suggested that Asimov, Heinlein and Clarke are not among the all-time great titans of literature. We want to bring to light the hidden gems of the science fiction genre - the types of stories that would make these great writers, our heroes, sit for hours in contemplation, reading, thinking, and smiling. After a tragic, fifty light-year voyage, sole survivor Mat crash lands on a beautiful, sometimes hostile alien world... the planet Earth! Mission 51 is an immigrant story that is out of this world! A child slips through a portal into the land of the Fae and traverses the Otherworld with the help of a young elf, while her parents are left to deal with the changeling that was left in her place. Four strangers must unite to save a world shattered in the pursuit of utopia. The crew of the Tereshkova were ready to join a newly established colony near Earth’s solar system. Instead, they are forced to survive in a distant galaxy as they search for a new home among the stars. Fractured between two timelines, John has to survive unresolved questions in 2010 as he lives through the eyes of a mysterious racer in 3027. Ideas and realities melt into sheer nightmares as John’s mind twists and bends down a dangerous road. 2017: A woman tries to find out what happened to her during the year she lost her memory. 2016: A man tries to find out who killed his mother. They fell in love once, but she doesn’t remember it. Confined by the alien Sylph to the surface of Earth mankind has lost the power of flight. Can one woman use her knowledge and skill to overcome human politics and alien indifference to regain the skies? Sequel to Rise: Secrets of a shattered world’s past threaten to finish the destruction wrought long ago. With the help of a fugitive AI robot, a teenager framed by the most powerful organization on Earth, sets out to clear his name and expose a dark and terrible truth to the world. Pilot X fights his guilt by tracking down a device that shouldn’t exist and could destroy the universe... again. I hope you all are doing well and enjoying the beautiful hardcover volumes that were our September and October selections - Welcome to Deadland by @Zachary Tyler Linville and Dracula v Hitler by @Patrick Sheane Duncan ! I also want to welcome @Andy M. to our ranks! Great to have you join us Andy. It’s wonderful to grow our group. With more members we increase our ability to impact Inkshares by helping authors meet their funding goals. The past two months we did something different in backing already published books. I know I’ve enjoyed receiving the books in the mail immediately (as an aside, if you haven’t received Deadland or Dracula v Hitler as expected, please let me know). However, this month I think we’ll return to our roots and support a funding SciFi project - more to come! In case you missed the late night email, our syndicate had another personal first for our September pick - we chose an already funded and published book! Depending on your membership level, you may have seen the email from Inkshares notifying you that your hardcover copy of Welcome to Deadland by @Zachary Tyler Linville has shipped! Impressive turn time by the crew over at Inkshares! For the month of September the Great SciFi syndicate has decided to do something different in picking an already published book. The thinking was that it would be exciting and well-deserved for our members to receive a book in the mail immediately. The members of our syndicate are very dedicated, and we love to support authors striving for publication. But it will be a real treat to receive a great book in the mail. And what better book than Welcome to Deadland, the number one selling SciFi book on Inkshares. We’re thrilled to push Linville closer to the 5,000 order milestone! So please join my in congratulating Zac! You can also check out his update today here. Also, it’s important to note that the benefit of syndicates shouldn’t only be in helping books reach publication but strengthening the books that do. There is much that can be done to boost books that have already gone to market. And we can help there as well! One of the most important thing we can do is review books - not just on Inkshares - but on Amazon, Goodreads, and Barnes & Noble websites. Supporting the efforts of books like Deadland, among others, strengthens and grows the Inkshares community. Maybe Deadland becomes Inkshares first bestseller! For those of you with projects on Inkshares at any stage of the game, leaving reviews for others on Amazon is a way to "play the long game" in helping yourselves. You help support your fellow Inkshares authors, and in the long run, support yourselves because Inkshares is stronger for that contribution. So with that said, enjoy your book this month, since one will be showing up on your iPad or on your doorstep shortly - and when you’re done reading, go leave a review!! Hey guys! The us long overdue but I just wanted to say THANK YOU! It means the world to me to be supported by this syndicate! It was a pleasant surprise and I can’t wait until you get to read it! Still a lot of work to do to reach full publishing, but I like our odd! Thanks again! Hey Everybody! The August pick is in, and in case you missed the email, it’s Cape’s Side Bay!! Congrats to @James Rasile ! Supporting Cape’s Side Bay with our August syndicate pick was one of the easiest decisions I’ve had to make as head of the SciFi syndicate. James Rasile has created a wonderful blend of SciFi, horror, and suspense. This is the first SciFi thriller / mystery that we’ve supported, so it is a perfect addition that adds variety to our selections. Best of all, James is one of us. 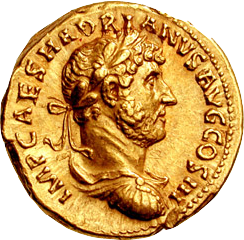 One of the original members of this syndicate, he has run a stellar campaign. With nearly 650 orders, he is just 100 shy of full funding with less than a month to go! Let’s help boost James across the finish line! Please join me in congratulating James! And feel free to recommend is book on Inkshares - he is working hard in the final weeks of his campaign to reach full funding! It was a tough decision, to either request a funding extension (which I suspect I would have gotten) or to allow the funding campaign of Mission 51 to expire at 183 copies. I decided on the latter because of the Launch Pad competition. It requires that I retain ownership and full rights of the material. Disappointing @Matthew Isaac Sobin and this awesome syndicate actually played in my decision-making. In the end, I believe I did the right thing. I will finish and polish Mission 51 in these coming months, while the Launch Pad thing plays out. If Mission 51 is chosen, great! If not, I will come back to Inkshares for another go at some point, when a suitable contest emerges. Mission 51 will be complete and ready to go at that time. Either way, I intend to live up to the honor you have bestowed upon me by choosing me as your July selection. I am super-grateful for the support of this syndicate! I really am! I will keep you all informed as to the ongoing progress of Mission 51. As you probably noticed, you have been refunded your dues for July. We are disappointed that Ferd’s campaign for Mission 51 came up short, but are also excited that he’s entering the book in the Launchpad MS competition! Good luck Ferd! There are countless places your July funds can be put to work on Inkshares. Even though this month’s new Geek & Sundry contest is fantasy, there are many intriguing projects off to roaring starts. I may be taking a look there with my money. The August pick will be coming soon (very soon)! @Matthew Isaac Sobin thanks for making this Syndicate, Sci-Fi Rules! Welcome aboard @Matthew D. Dho ! Looking forward to reading your book. Hi everyone. Super excited to be a part of this Syndicate. While I can not wait to read all the great work selected in here, I feel I gotta throw my work into the ringer. I think the I Am Waltz would be an excellent choice for this particular syndicate for a few reasons. It is a Sci-Fi novel that contemplates the consequences of a society where technological reliance becomes paramount. Exploring the technological singularity, hybrid thinking, the reduction in individualism, and then power the corporations who create technology will gain. The book is told through the eyes of two characters, Kyle and a robot who has been unplugged so to speak. Kyle is a 16-year-old boy who lives with his father at a facility that extracts AI consciousness and uploads them to the manufacturing plant to be downloaded into upgraded bodies. While the hardware of the AI in this world are always being modified and improved, the consciousnesses are totally unique and as such must be retained. Kyle’s life is very blue collar and in many ways disconnected from the hyper technical world at large. This makes Kyle a great protagonist for people to connect to the world through. I don’t want to give too much away, but needless to say, something unexpected happens and it launches Kyle and his robot friend on a quest that will change mankind forever. The book aside, I was shocked by the events in Orlando. I have decided to donate any and all proceeds I make from this book to the Equality Florida Institute, the states LGBTQIA charity, to support the families of the victims. Anyhow, I am excited to see what great books this syndicate supports. Can not wait to read them all! Matt, I am truly humbled and crazy overjoyed at this tremendous honor! As a writer, I’m sometimes afraid that my thoughts and words don’t carry much weight. But to become the July selection of this particular syndicate blows my fears out of the water. It makes me feel that maybe there is indeed an audience for my story! Your support is deeply gratifying and has already re-energized me to work harder to continue improving Mission 51, to be sure it is worthy of your kind consideration. Thank you very, very much for this, which is the highest honor I have ever received for my writing. I am grateful from the bottom of my heart! Please join me in congratulating @Ferd Crôtte on his fantastic book, Mission 51, being our July selection! Also Ferd joined the syndicate today which is more wonderful news. Welcome aboard! The SciFi syndicate is thrilled to support Mission 51 with our July selection! Ferd Crôtte has created something truly intoxicating. The perfect premise, which takes one of the great mysteries / intrigues of the 20th century and puts us directly in the alien’s shoes; it’s SciFi and historical fiction wrapped into one. In addition, there is special artwork which illuminates the story with a deft touch. We can’t wait to read more, and for this story to become a book on our shelves. We encourage our fellow Inkshares authors and readers to support this praiseworthy project! Congrats @Evan Graham well deserved!! We have made our June selection! Congrats to @Evan Graham , author of Tantalus Depths ! Evan Graham has created an intoxicating read with all of the best elements of great SciFi. We have the final frontier in outer space, an AI with ambiguous motives, and some solid horror to boot. TantalusDepths has huge potential! We are thrilled that the SciFi syndicate can make a difference pushing this entry from the Geek & Sundry Hard Science Fiction contest closer to Quill publication. Once again, congrats to Evan and full speed ahead to reaching your funding goal! And here is our image, promoting the five SciFi draft projects endorsed by our syndicate! 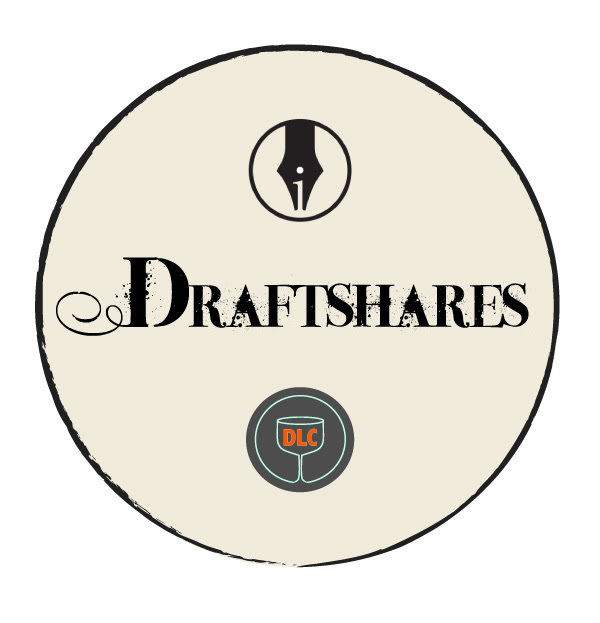 Please feel free to share this to publicize Draftshares this week on Inkshares and via social media. As you may know, this week is Draftshares! This is another fantastic community event conceived and coordinated by the author community on Inkshares. During this event we will shine a light on high quality projects that are still in the draft phase (not yet funding). Get ready, because Draftshares is about to begin! Readers: Check out as many drafts (projects currently in the Draft stage) as you can during the week of May 30th - June 3rd, and participate by opening and commenting on your favorite drafts’ excerpts. Why: To encourage community engagement...and, PRIZES! Drafters: Let us know if you’d like to receive a soft critique or a hard critique by messaging a member of the DLC cast or tweeting your project link @drinkshareslc with either the #critiquemekindly or #critiqueme hashtags. If you want your synopsis critiqued, include the hashtag #critiquemypage too. Soft Critiques (#critiquemekindly): This is the default critique if the author has not specifically requested a hard critique. The tone should be supportive and curious. Point out things you like, comment on the broader story ideas, and ask questions. Hard Critique (#critiqueme): Only give a hard critique if the author has specifically asked for one. This is where grammatical errors, typos, and oversights can be pointed out. It’s best to include elements of a soft critique too, but you can unleash your inner editor a bit more here. Throughout the week, fellow authors will browse these threads and offer help with editing and improving your project page synopsis so you’re better prepared to switch over to funding with a fantastic, compelling, error-free introduction to your book! Watch: Tune in at https://youtu.be/82ged3xwwew on Saturday, June 4th @ 4/3 Central to watch us discuss the drafts and announce the winners! Hi :) Other than The Punch Escrow (toot toot), my favorite entry in the G&S contest is, @Ailea Merriam-Pigg ’s The Science of Magic. Would love to see it get funded. I want to quickly welcome our newest member @Tabi Card. Tabi is the author of Scribbles: A Collection of Words, and is coming up on a funding deadline, and could use support. So if you have credits hanging around on your account, I’d encourage everyone to take a look at Tabi’s project. Also, a belated welcome to @Tal M. Klein, who is currently dominating the Hard Science contest, sponsored by Geek & Sundry, with his book The Punch Escrow! If you haven’t taken at look at his book, I highly recommend it. Also, there are many other worthy projects in the contest to consider. Next month I am considering throwing our weight behind one of the projects in this contest that finished outside the top three, and will still need help to become published once the competition concludes. I’d like to announce our next syndicate pick! We were thinking of supporting a book in the current Hard SciFi contest, but I was pulled to support a book that is closing in on Quill and is very well deserving, having been on the campaign trail for quite a while. The Amaranth Chronicles: Deviant Rising is a fantastic science fiction work. Alexander Barnes and Christopher Preiman participated in the second Sword & Laser: The Sequel contest. As the SciFi syndicate on Inkshares, it will be great to help push this worthy book across the finish line. Especially now that they appear to have been granted a couple of months extension, this will put the book well along on its final push for Quill!! Let’s make sure this awesome story gets published! Congrats @Alexander Barnes and Chris! Well, we had a little snafu. Apparently, selections by a syndicate for a given month need to be made before the 15th of that month. This will probably be changed at some point in the future - really no reason it shouldn’t be at any point throughout a month. So, we missed the window for April. Everybody will have their dues refunded for April. I will make a pick in the next couple of days for May! Let me know if anybody has questions. Also, welcome aboard to @James Rasile ! Welcome aboard @Kevin Szurek ! Great to have you in the group. It’s a really exciting time to join our syndicate in particular because the upcoming Geek & Sundry contest on Inkshares is HARD SCIENCE FICTION themed. Right up our alley! So we will be looking to support one of these books in the contest. The contest begins on April 4. We should probably plan to begin discussing during the week of the 11th over on Goodreads which of the contestants is catching our collective eye. Here’s the Goodreads link once again. Feel free to get the conversation rolling. Hey, that’s incredible! I don’t have a speech prepared, but thank you so much! I hope this syndicate enjoys reading the book as much as I have writing it. That’s the most rewarding part to this whole process. Congrats to @Michael Sebby ! His book, The Inhabitants: An Unremembered Life is our first Syndicate pick! Welcome @Philip Norbury ! Great to have you onboard. Lastly, I am a bit behind on posting options for us to vote on for March. But I will try and get something up on Goodreads ASAP. If anybody else has suggestions, feel free to make a post!! We are now live on Goodreads! Come join the conversation. We have some time before we need to make a decision for March, but we can start mulling things over soon. Great to have you onboard @Juan Schmechel ! Welcome @Zack Jordan ! Glad to have you on the team! Very excited to take the plunge. I hope that this syndicate focusing on science fiction will add to the growing community and dialogue on Inkshares. And I look forward to supporting the important work of Inkshares authors! Later in the 21st century it may be said that a few noble idealists banded together and the genre of science fiction, and literature more broadly, took a giant step forward. Too grand?? We shall see. I would like this syndicate to strive to find thought provoking, intellectual science fiction, which goes beyond escapism. These works show how reality might be in the future, in another dimension, a far off galaxy, or even a separate universe.